Announced during Google I/O earlier this year, the final version of the newest Android update, will be available over-the-air for Pixel devices. 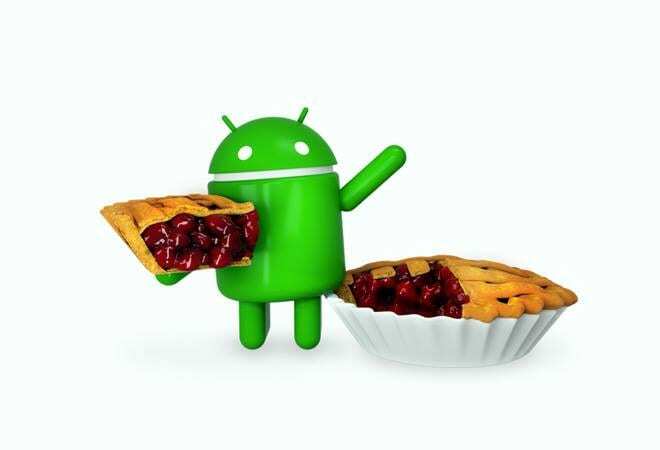 Google has also unveiled the official name for the latest update as the Android 9 Pie. The devices that participated in the Beta program from Sony Mobile, Xiaomi, HMD Global, Oppo, Vivo, OnePlus, and Essential Phones, as well as all qualifying Android One devices, will receive this update by the end of the year. Google is also working with a number of other partners to launch or upgrade devices to Android 9 this year. Sameer Samat, VP of Product Management, Android & Google Play, says, "Android 9 aims to make your phone even smarter by learning from you and adapting to your usage patterns. It also helps you get things done faster, like predicting what you'll want to do next based on your context and displaying that action right on your phone. And we've been working to add key capabilities right into Android to help people achieve the balance with technology they're looking for." Claiming to be simple and intelligent, here is what the Android P 9 is all about. Gesture Navigation: Navigation buttons have made way for swipes in the Android P update. Instead of the home, back and multitasking buttons, a pill-shaped icon at the bottom will be your home button. You need to long press the home icon to launch Google Assistant; swipe up from the bottom to load the app switcher showing running apps; and swipe up twice to launch the app drawer. The back button appears in certain apps/menus when needed. Holding the home button and scrolling it to the sides also shows the running apps. Split screen mode is easy to access - tap on the app icon in the app switcher mode and select split screen. Swiping the app card upward in the switcher mode will close the app. The new gestures and the all-new interface may seem tricky at first, but is convenient to navigate on phones with bigger displays. Volume Shortcut: Android P brings in a new way to control volume. Pressing the volume button displays a shortcut to switch the phone to silent or vibrate mode, shows a volume slider and offers quick access to sound settings. Pressing the volume up and power key together enables vibration for incoming calls and notifications. Better Battery: With Android P, Google is rolling out two features to enhance battery life on Android phones. The adaptive brightness feature that has been around for a while will now learn about how and when a user adjusts the screen brightness and automatically do the same based on the environment and activity. The adaptive battery feature will also learn the usage pattern of a user in order to offer a better battery back-up. It will limit battery usage for the infrequently used apps, too. Smarter Notifications: Notifications other than the ones you really want to see are annoying. If you regularly dismiss a particular notification, Android P will present you with the option to turn it off, so it does not pop up again. The update will also bring a smart reply option to respond to emails from the notifications list itself. Action and Slices: Using machine learning, Android P can predict what the user is going to do next. Actions will show up options in launchers, smart text selection, Play store, Google Search app and assistant. For instance, when you plug in your headphones, the phone will resume playing the song that you last heard, exactly where you left it or when you copy text it will show apps where you are likely to paste it. Slices, on the other hand, will show a slightly larger interactive snippet when you search for content and apps using Google search. For instance, when searching for a cab service, it will show you the time taken and fare for the ride to work. Digital Well-being: This one dwells on introspection. Google's digital well-being initiative will help users analyse their phone usage and even help in cutting it down if required. The Dashboard option will show the number of hours spent on the phone, on a certain app, the number of times the phone was unlocked and the number of notifications received. Users can also restrict their usage of a particular app using the timer - the app will grey out on the homescreen once the limit is crossed. There is also a 'Shush' feature, by which if the phone is placed in a way that the screen touches the table, the do-not-disturb mode will be turned on.